1.In medium bowl, stir beer, garlic, brown sugar, oil, salt and pepper until brown sugar is dissolved. Divide pork chops into 2 large zip-top plastic bags; pour 1-1/2 cups beer mixture into each bag. Seal bags and refrigerate 4 hours or up to overnight. 2.Prepare outdoor grill for direct grilling over medium heat. 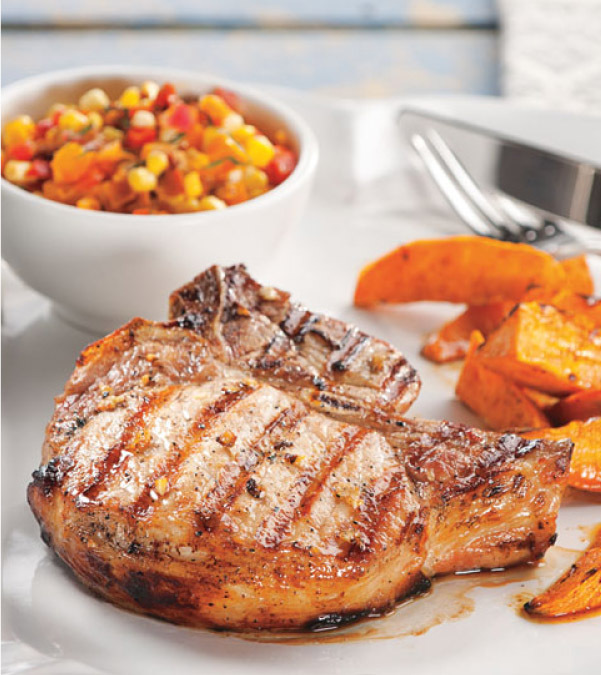 Remove pork chops from marinade; discard marinade. Place pork chops on hot grill rack. Cover grill and cook 13 to 15 minutes or until internal temperature reaches 140°F, turning once halfway through cooking. Transfer pork chops to large serving platter; let stand 5 minutes. Internal temperature will rise to 145°F upon standing.